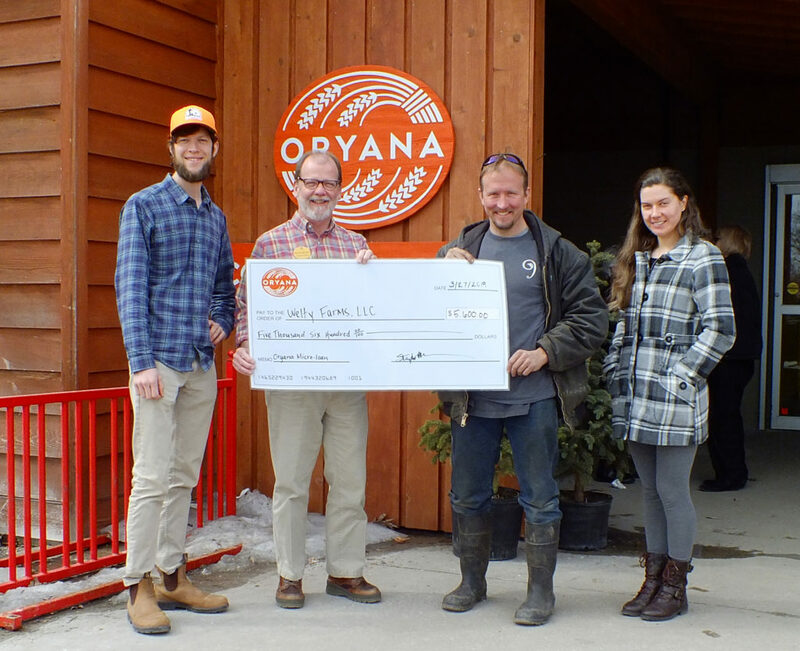 Oryana is proud to be able to fund two local food projects this year as part of our first microloan program. The recipients of this year’s microloan are Lost Lake Farm and Welty Farm. 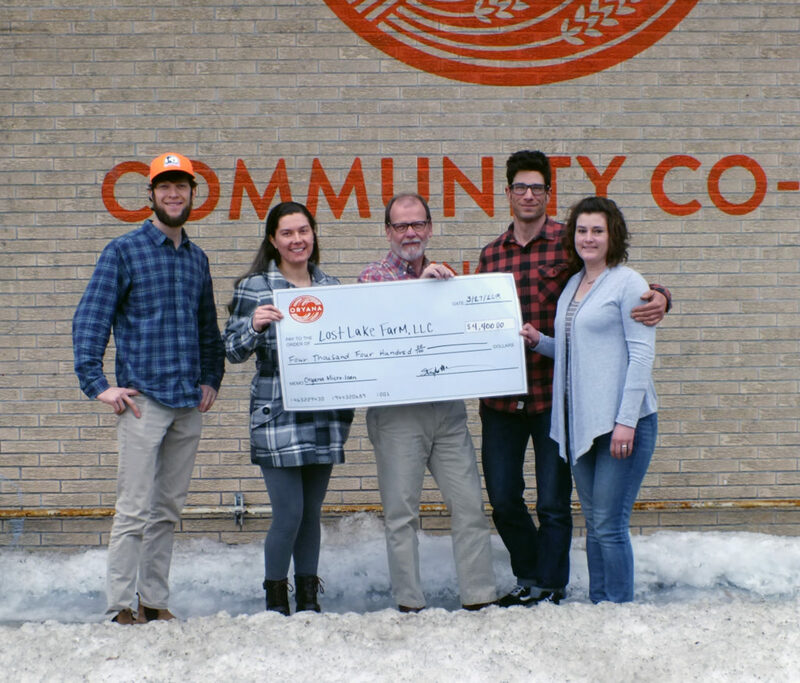 Thanks to the partnership between Oryana, Crosshatch Center for Art & Ecology, and Grain Train Natural Foods Market, these community-supported, zero interest loans are made possible each year. Congratulations! Applications for 2020 will open up at the end of this year…stay tuned. Lost Lake Farm in Honor has been in operation for six years. The farm currently produces pastured pork on 8 acres and over 90 varieties of vegetables on 1.5 acres. Business owners and farm operators Carissa and Nathan Savage come to farming from diverse connections in food, agriculture and community including Nathan’s culinary background and Carissa’s non-profit community garden coordination in Portland, Oregon. 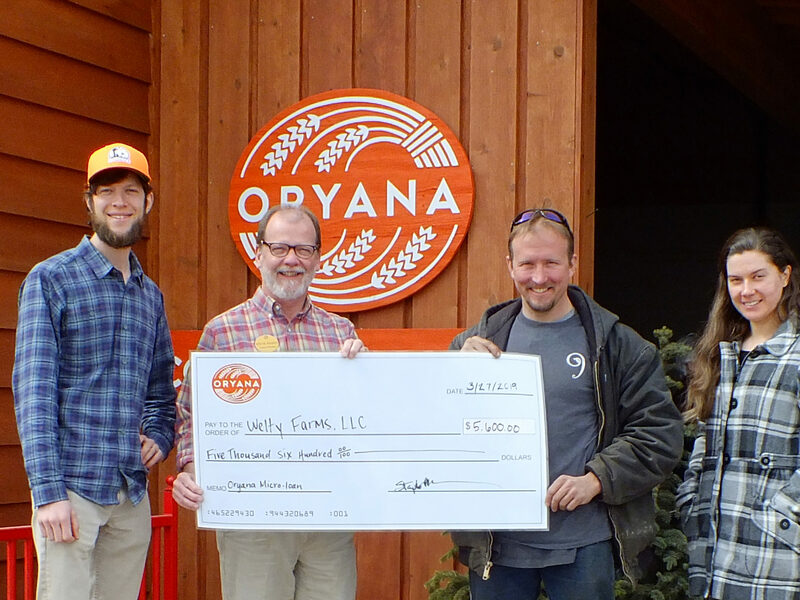 Oryana’s microloan of $4400 will support the purchase of new, efficient hand tools and crop protection materials to improve current vegetable yields. This will allow Lost Lake Farm to fulfill increasing demand for their produce in Benzie County. It will also allow them to provide more food to neighbors in need through their local food bank of Benzie Area Christian Neighbors (BACN). Their produce can be purchased at the Elberta and Frankfort Farmers markets from May – October or as a Community Supported Agriculture(CSA) shares picked up at their farm weekly. 9 Bean Rows farm provides no-till vegetables to the MI Food Cooperative and farmer Nic Welty is on the board of this farmer-run cooperative based in Leelanau county. They have identified emerging opportunities for local farm product sales to local schools, especially due to the 10 Cents a Meal for School Kids & Farms program. $5,600 in microloan funding from Oryana will support expansion in product diversity the Co-op can offer schools and other buyers by covering part of the costs of a refrigerated truck to transport protein, and frozen and processed products that need cold delivery to be transported year round.